SAN DIEGO, Calif. /California Newswire/ — Bank of Southern California, N.A. (OTC Pink: BCAL / OTCMKTS:BCAL), announced today that FINRA has approved a change in the Company's stock symbol. 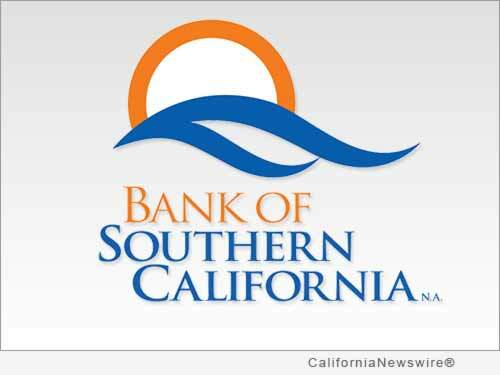 As of Monday, December 21, 2015 the new trading symbol for Bank of Southern California is BCAL. The former symbol, FBBN is no longer valid. Nathan Rogge, President and CEO of the Company, said, "We are pleased to commence trading under the BCAL symbol which aligns our stock symbol more closely to our name. In June 2010, the bank changed its name to Bank of Southern California as the company refined its branding strategy and vision of becoming the best community business bank in Southern California." He added, "We are now one of the few remaining locally owned, community business banks headquartered in San Diego that focuses on meeting the needs of small to mid-sized businesses and professionals." Rogge added that there have been no significant changes in the bank's local ownership, management or operations as a result of the change. A growing community business bank, established in 2001, Bank of Southern California, N.A., with headquarters in San Diego, Calif., is locally owned and managed and offers a wide range of financial products to individuals, professionals and small-to-mid sized businesses. The bank's solution-driven, relationship-based approach to banking provides accessibility to decision makers and enhances value through strong partnerships with their clients. The bank currently operates seven offices in San Diego and Riverside County.